Employing a home health care professional is a very important decision, and one in which most people have little training or practice. Provider Preferred Home Health is a trusted name throughout the continuum of care by physicians, facilities, patients, families and caregivers. Send us an appointment request online and a Provider Preferred staff member will be happy to meet with you at home, at a facility or in our office. Being guests in patient’s homes with the goal of improving quality of life takes capable clinicians with character and compassion to be successful. Are you interested in or need to make a referral for Home Health. Provider / Facility / Family referral checklist and Physician admission packet available below. We are very thankful for your time rating our staff’s service. This is invaluable information in helping us improve our operations and overall customer service. Please have your physician complete the admission packet and fax to our office with the additional documentation listed above on our referral checklist to 847-506-9769 and an intake coordinator will be in touch directly to confirm your eligibility for home health and schedule your start of care / evaluation appointment. You want to partner with a skilled medical team that will treat you or your loved one with compassion, respect and dignity as you would treat a member of your own family. Our individually trained professionals are committed and passionate about delivering superior care to every patient, every time. Our recognized clinical results represent that commitment. 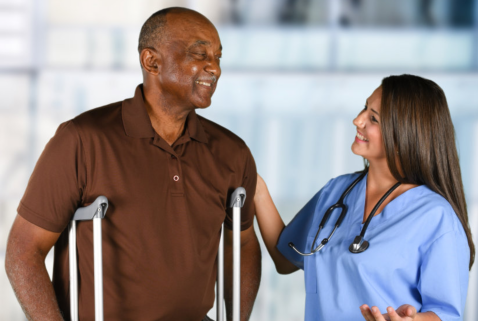 With Provider Preferred Home Health, you can trust that the treatment plan prescribed by your doctor will be followed meticulously as we help you regain your strength, your health and your independence.